The security of the US election system and of candidates' campaigns has been front and center in a national discussion that began with the Russian interference in the 2016 presidential campaign, and continues as the country gets closer to fast-approaching 2018 midterms in November. Such security was a focus in the recent Black Hat and DEF CON events in Las Vegas, which featured demonstrations and research reports looking at everything from voting systems to individual campaigns. One such study, conducted by a group of four independent researchers led by Joshua Franklin, an ex-NIST security expert, found that three out of 10 websites run by House of Representative candidates -- both Democrat and Republican -- have significant security flaws that make them vulnerable to attack. The researchers used a range of automated scans and test programs to sniff out the vulnerabilities, which include issues with digital certificates, according to a report by Reuters. The team also found web pages whose addresses closely resemble those of candidates and which can be used by attackers in phishing campaigns to trick users. Most of the vulnerabilities were found on websites for candidates with smaller campaigns, and highlight a weakness in the election process. While states receive money from the Congress to shore up the security of their voting systems and processes, campaigns themselves do not. They have to rely on political parties for funding, and may not always be able to afford top cybersecurity expertise on tight budgets. It's an issue that the political system needs to address, according to Joseph Carson, chief security scientist at privileged account management (PAM) solutions vendor Thycotic. "There are many areas in which the elections are vulnerable to hacking," Carson told Security Now in an email, noting the demonstrations of how easily voting systems can be compromised. "The bigger issue is that each election campaign is expected to protect and secure their own systems. This means that inexperienced, temporary staff [is] brought in to protect sensitive data that includes voter information and campaign strategies. This allows for attackers to easily target election campaigns, sometimes gaining access to email accounts or the entire voter database." The threat of cyberattacks against many aspects of the midterms elections is not a surprise. The U.S. intelligence community has said there is no doubt that Russian hackers interfered with the 2016 presidential elections. The heads of federal law enforcement agencies -- including the FBI, the CIA and the Department of Homeland Security -- have said in recent months that it's clear that Russia and other bad actors intend to do the same in the upcoming elections. There already have been instances of campaigns seeing attempted hacks. Microsoft officials said the company was able to identify three congressional campaigns that were under attack and to block the hacking attempts. One of those candidates was Sen. Claire McCaskill, D-MO, who is running for re-election. Rolling Stone reported that the FBI is investigating a number of cyberattacks against a Democratic candidate running against Rep. Dana Rohrabacher, R-CA, a vocal supporter of Russia and its president, Vladimir Putin. Democratic candidates in a congressional race in Minnesota also reported Russian interest in their campaigns. A key challenge in protecting the election system against cyberattacks is the wide range of areas that are vulnerable. There are not only federal contests looming, but also state and local races, voting machines and databases. There's also social media and other forms of communications. All of these are avenues for threat actors to follow to undermine the integrity of US elections. The need for expertise at all levels is great, according to cybersecurity experts. 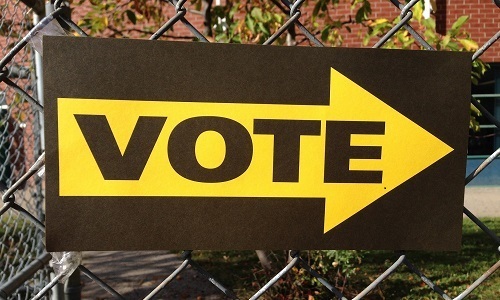 "To protect the election process against hacks, security professionals are direly needed," Sanjay Kaira, cofounder and chief product officer at cloud security solutions provider Lacework, told Security Now in an email. "The rigorous controls, monitoring and best practices applied to highly targeted industries such as financial services or energy should be applied to the electoral process, and will help us move forward with an effective game plan that is devoid of biased influences that might come from political debate. Security professionals who are steeped in this mindset can give us the best opportunity to be successful at that, especially as the process gets modernized on new cloud technologies." Rishi Bhargava, cofounder of cybersecurity firm Demisto, agreed, telling Security Now that the "rate of advancement in, and compromise of, the technical infrastructure surrounding elections has grown faster than the rate of awareness and knowledge that government officials need to stop these attacks." David Ginsburg, vice president of marketing at cybersecurity vendor Cavirin, said voting machines get a lot of attention, but there are other risks that need to be addressed. "We saw, and continue to see, manipulation of social networks, news sites, and even the integrity of data stored in the cloud," Ginsburg told Security Now. "This last threat, where the very accuracy of critical records comes into question, is sometimes overlooked. I'd put out a challenge, in the same way that we prepared for Y2K and then GDPR, for organizations that have anything to do with the election process or data, to put in place the necessary processes and technology. An E-80, if you may."